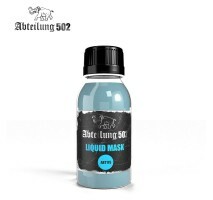 AK-894 Intermediate Gauzy Agent Shine Enhancer High-quality product to create a protective and very realistic glossy sheen to areas where applied. 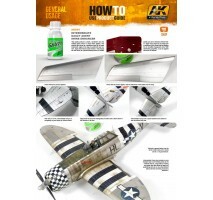 This product also serves as a protective layer for the paint underneath. 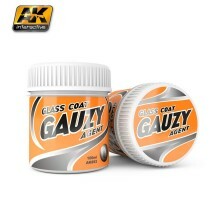 Apply in the way you would wi..
A revolutionary product to be used for creating scratches and surface wear. Apply a base layer of acrylic paint, a layer of Scratches Effect followed by a top layer of acrylic paint. When dry, moisten area with water and the gently scrub us..
A revolutionary product to be used for creating large paint chips and surface wear. 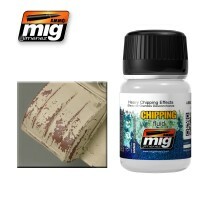 Apply a base layer of acrylic paint, a layer of Heavy Chipping Effect followed by a top layer of acrylic paint. When dry, moisten area with water and the gently.. 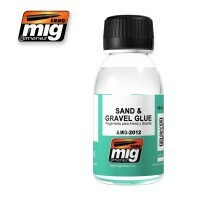 The perfect adhesive to fix all types of sand, gravel and rubble to diorama bases. 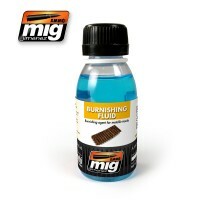 This product can be applied to the surface using a brush or airbrush and drying can be accelerated using a hairdryer. 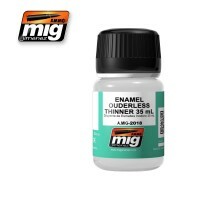 Jar of 100 ml..
Our odourless thinner is specifically designed for use with Ammo Washes and Effects allowing you the greatest flexibility to create any density of effect.Jar - 35 ml..
Our odorless thinner is specifically designed for use with Ammo Washes and Effects allowing you the greatest flexibility to create any density of effect.Bottle - 100 ml..
Burnishing agent for white metal tracks of any brand. 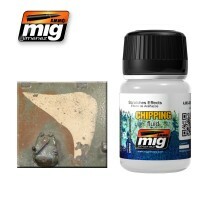 In just few minutes you can blacken metallic tracks in a realistic dark rust color. The result is also matt, durable, and permanent so it is the perfect base for later treatments with pigments or ..
Burnishing agent for photo etch parts and brass barrels. Instant blackening for turned brass barrels and photo etch within about 3-5 minutes. 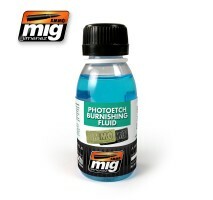 Photo etch Burnishing Fluid also blackens tin solder used for soldering Photo-etch for a uniform effect. 100.. 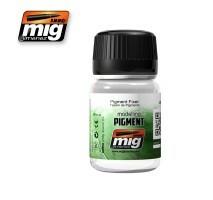 Recommended product to adhere pigments to the surfaces of your models and bases. Use capillary effect to allow fluid to flow over pigment powder. Once dried, pigments are permanently adhered to the surface and return to dry color.Jar 35 m..